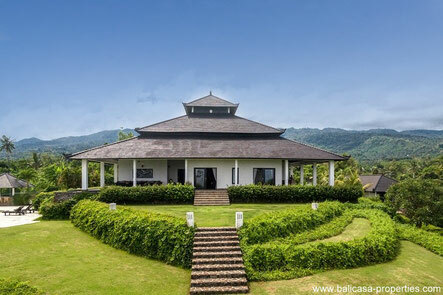 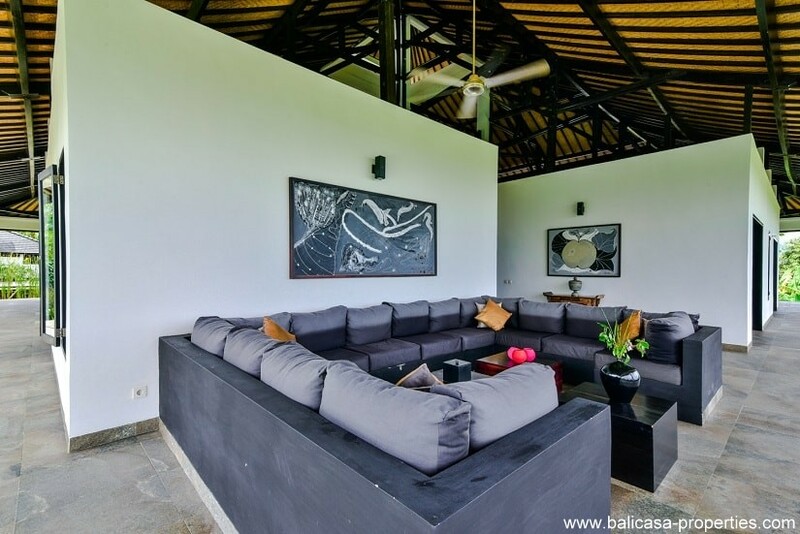 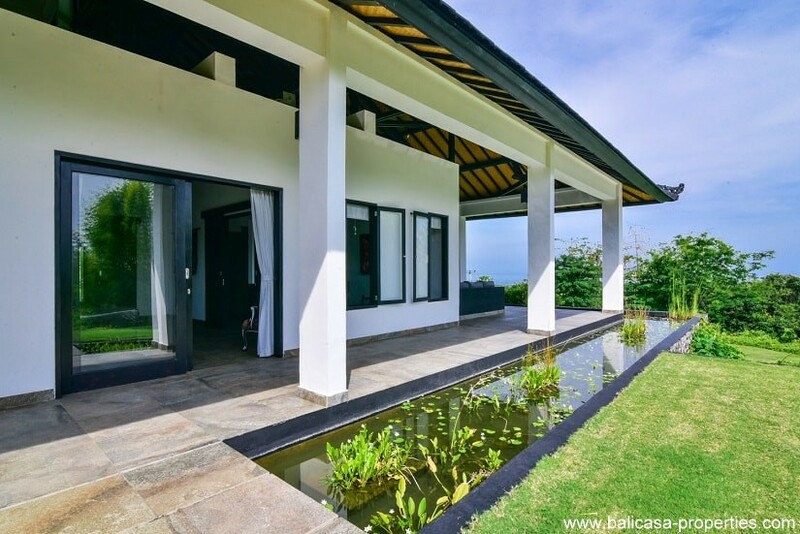 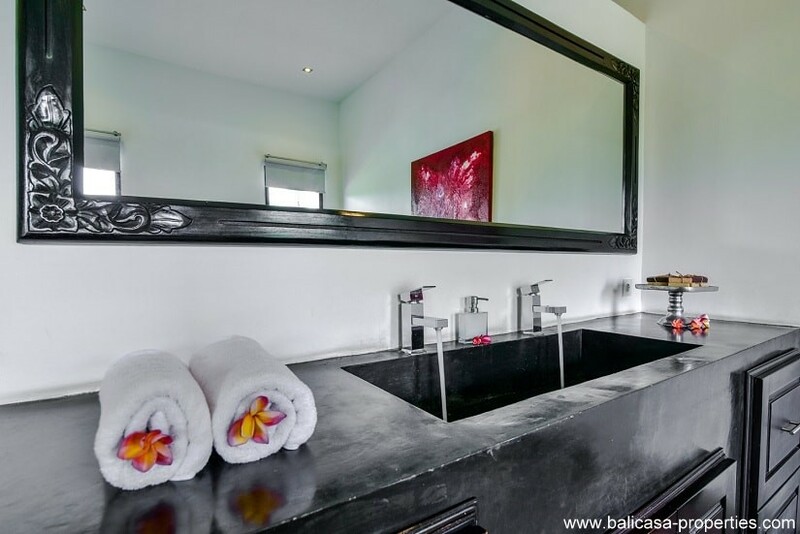 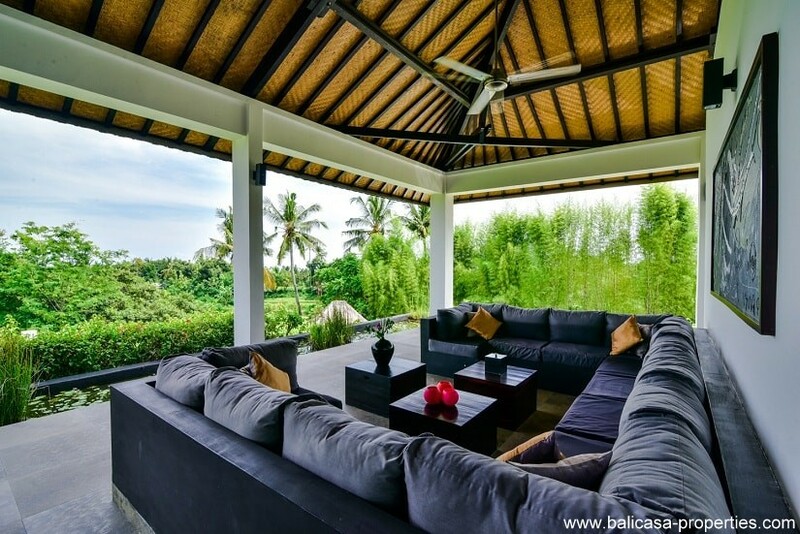 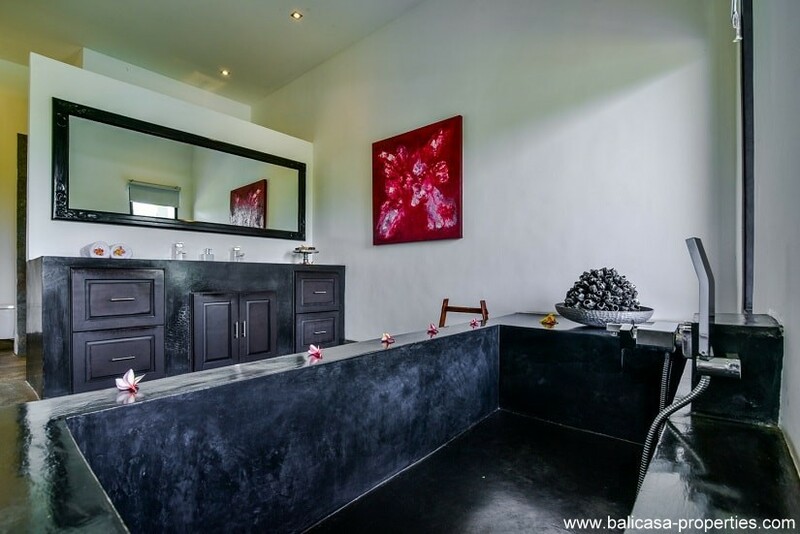 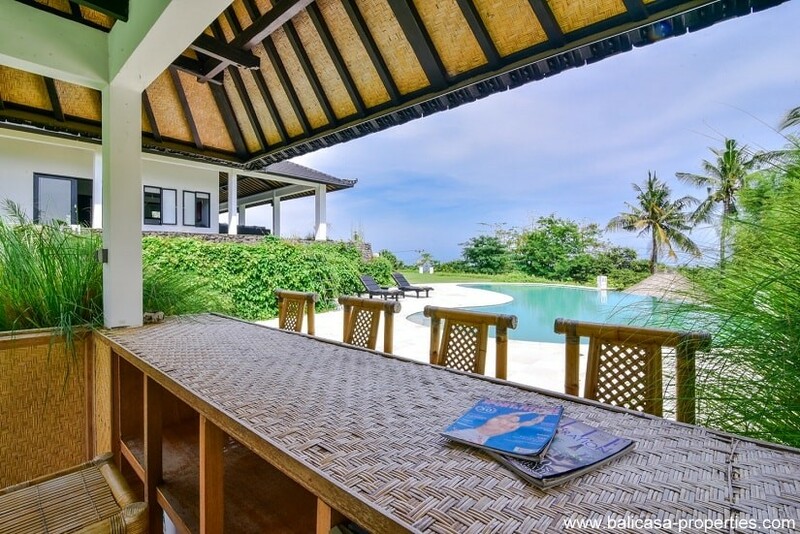 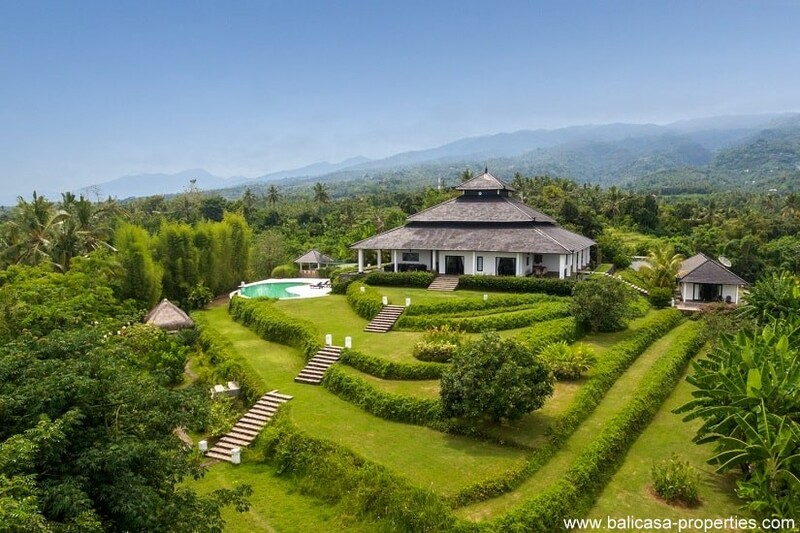 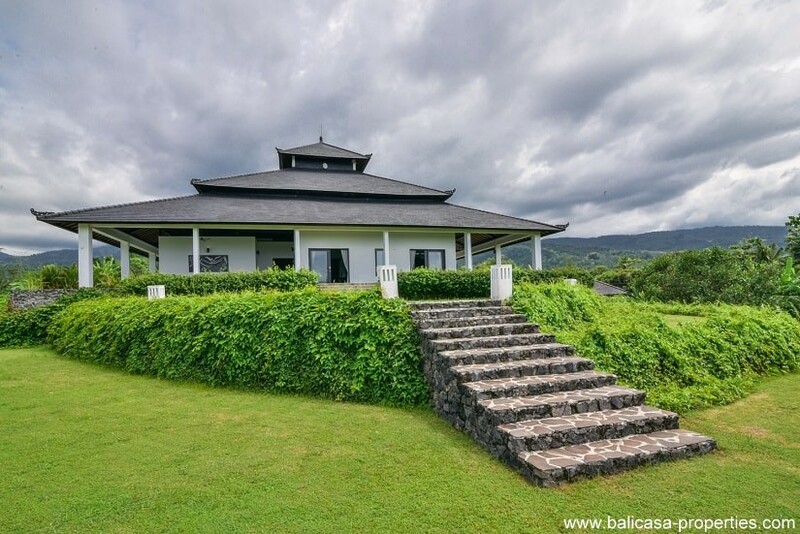 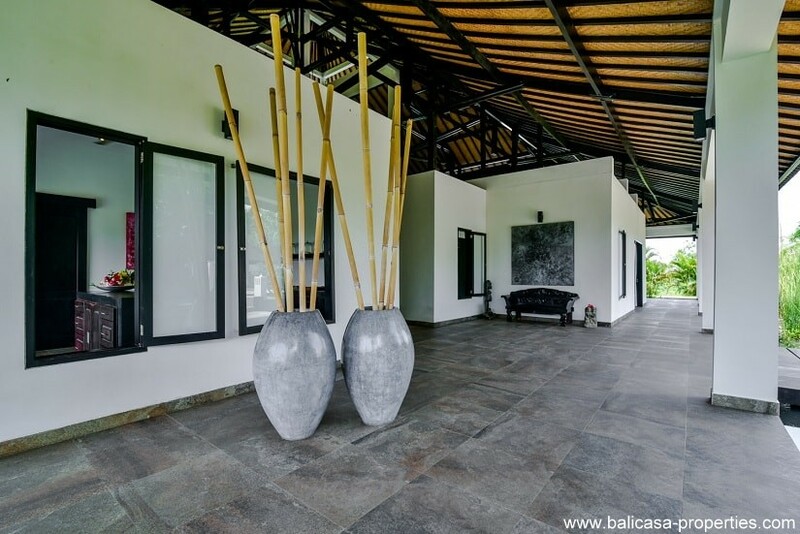 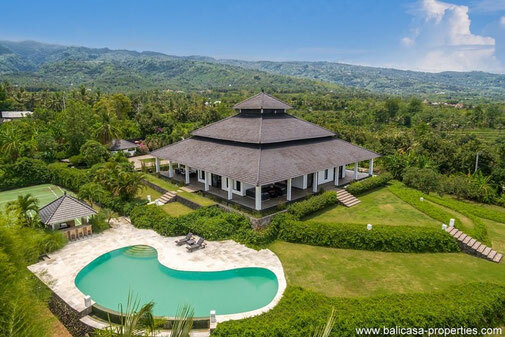 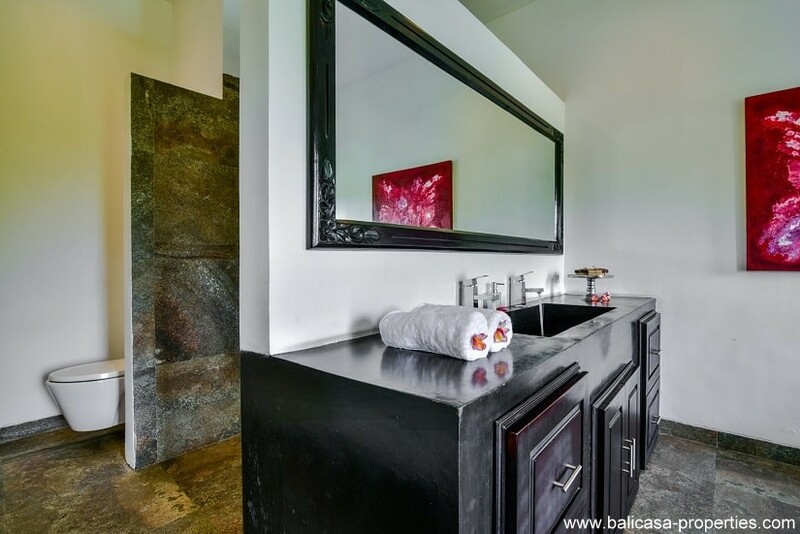 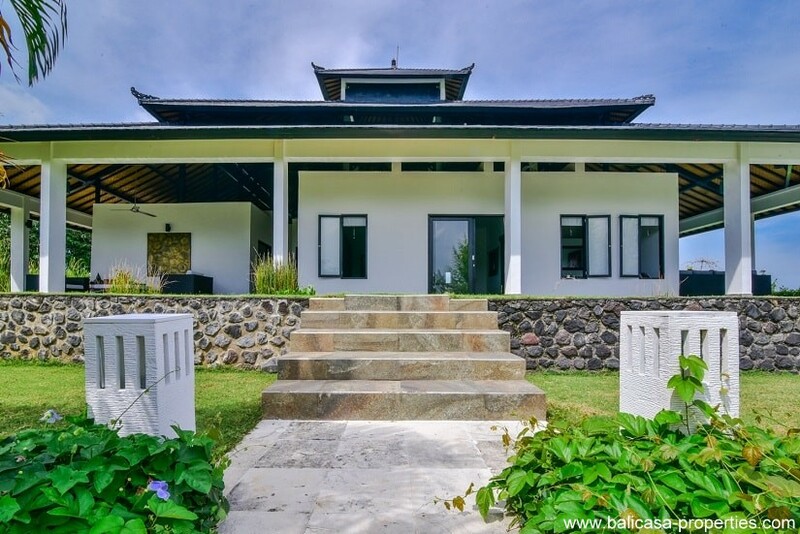 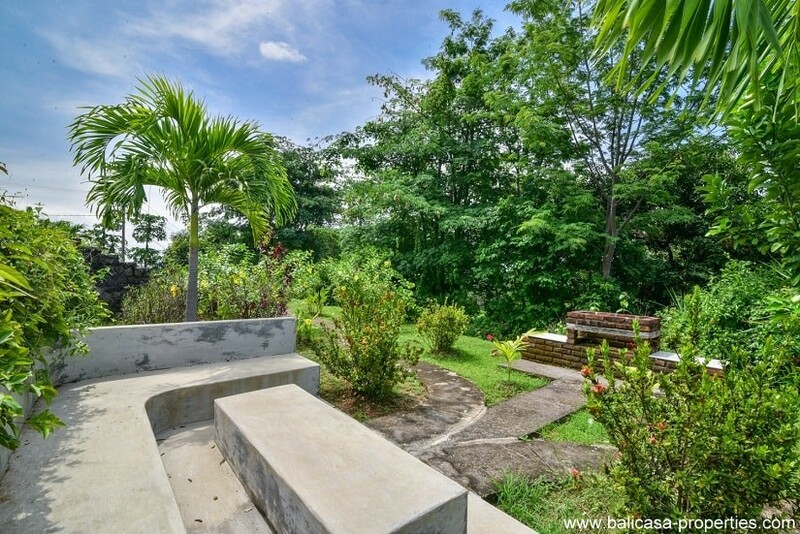 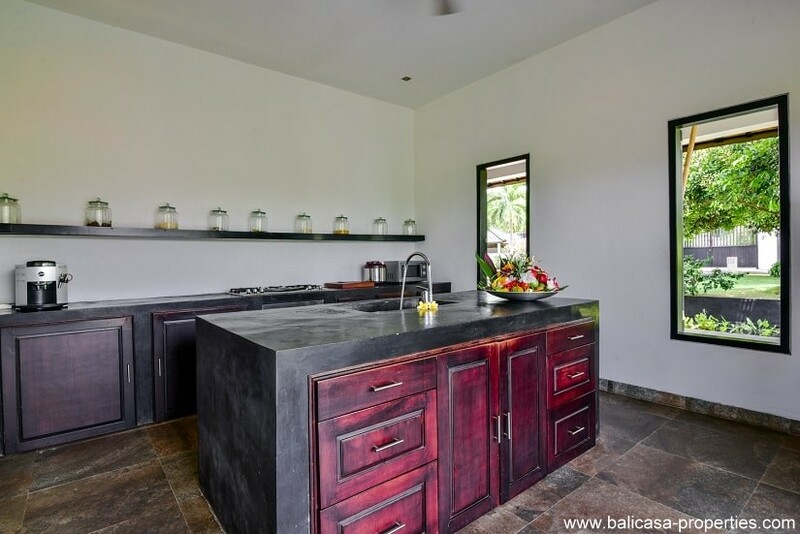 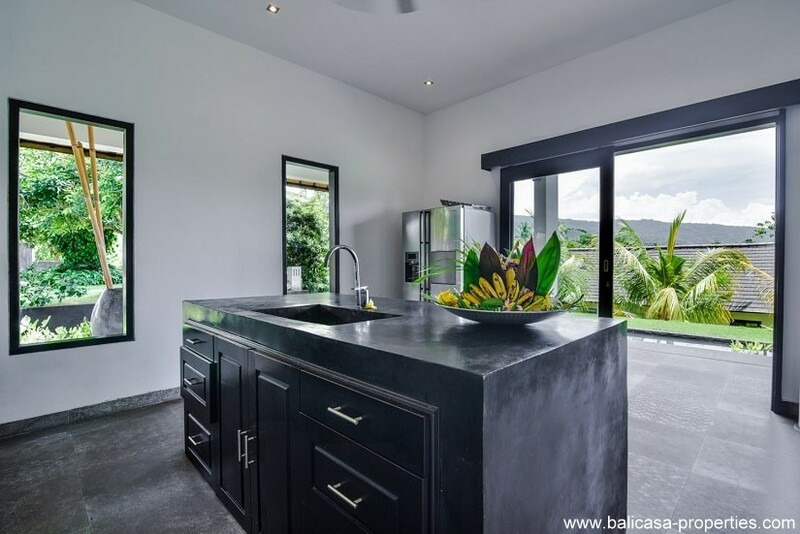 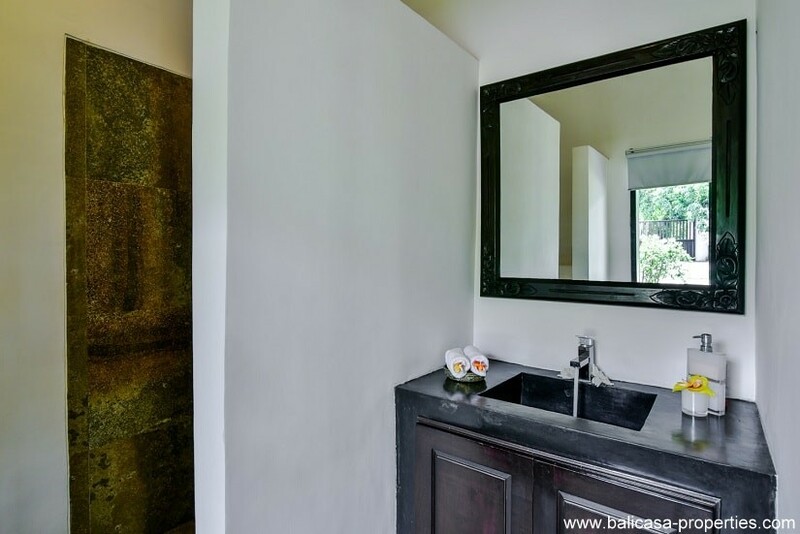 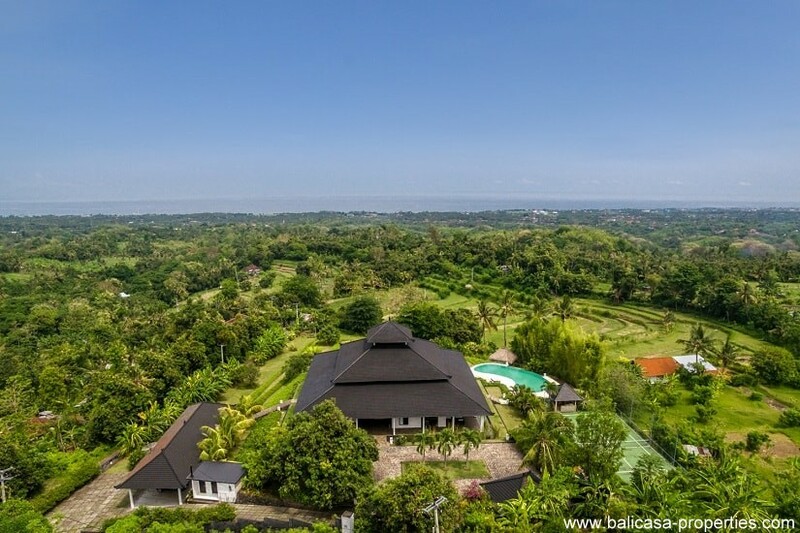 This design hillside villa near Lovina is an exclusive property with beautiful views over the mountains and ocean. 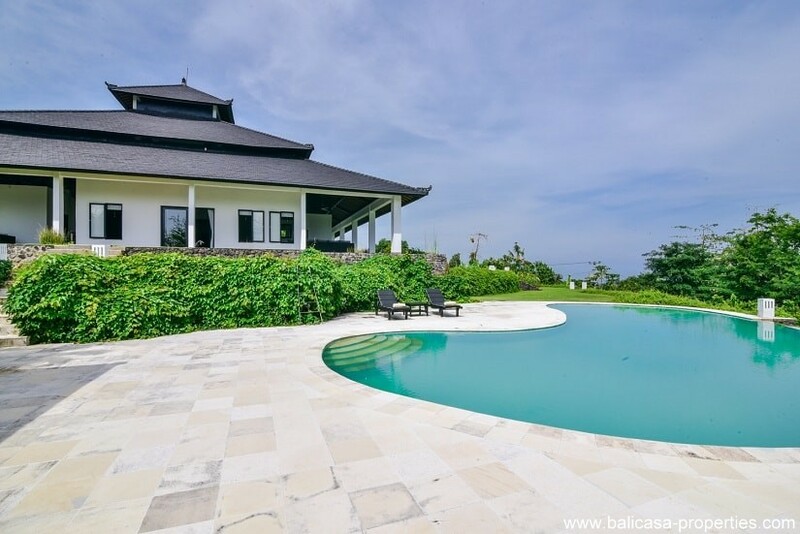 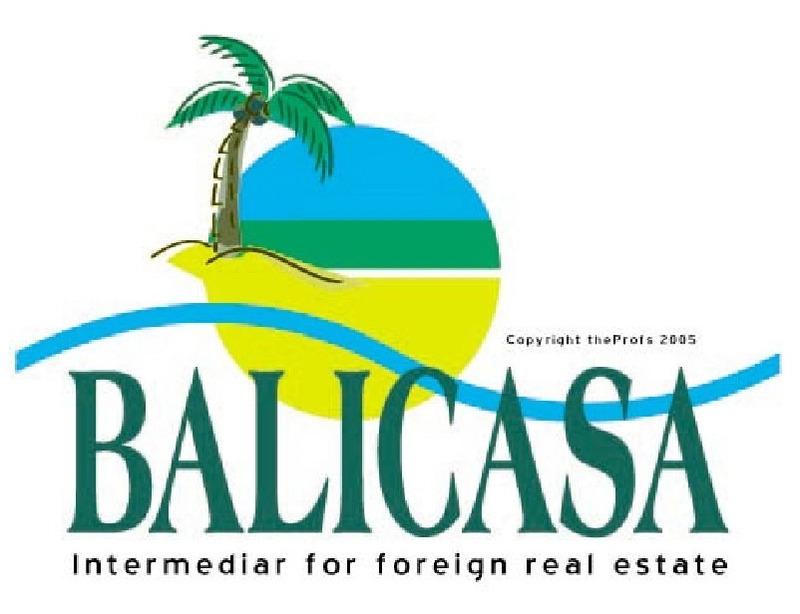 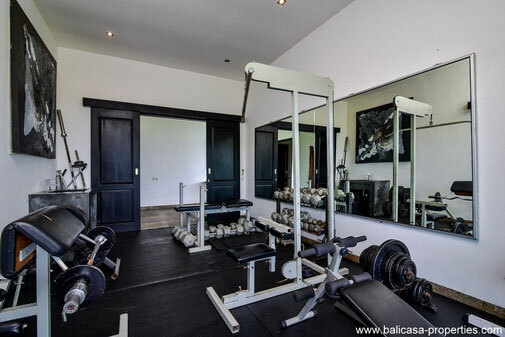 A villa which is offered with totally 5 bedrooms and all kind of attractive features. 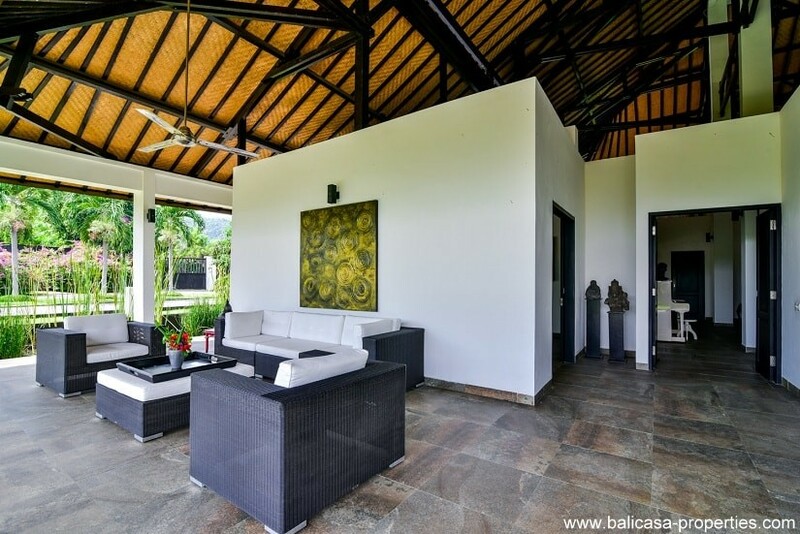 This villa has been built as a square property. 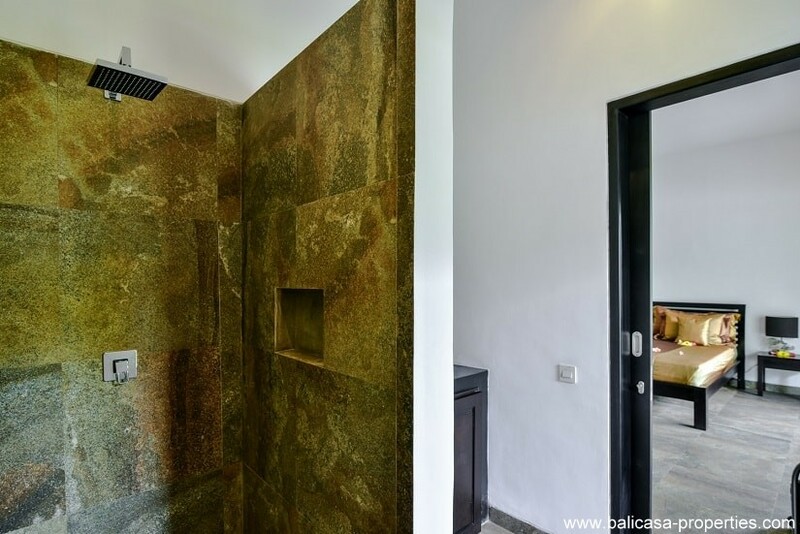 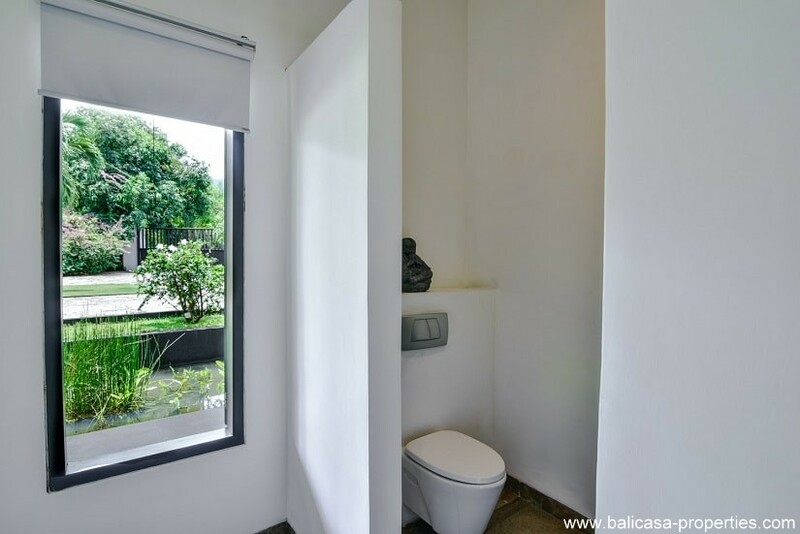 The villa has been built with privacy in mind. 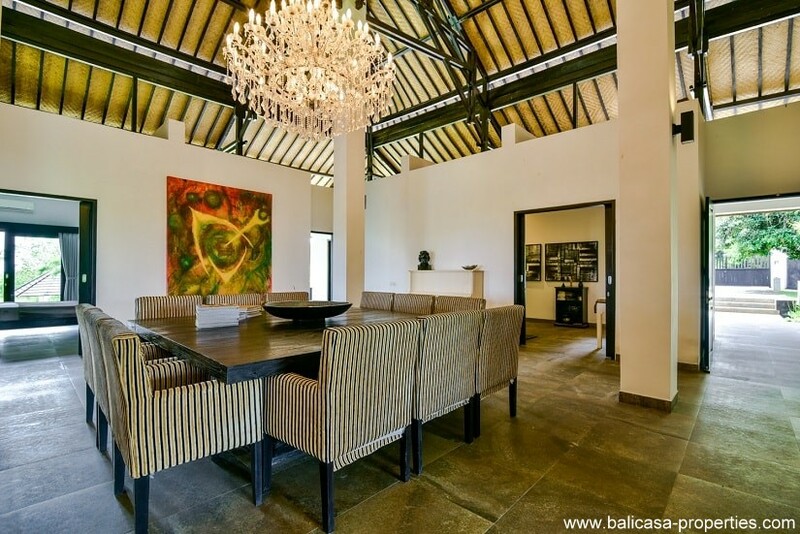 Center point in this villa is the dining area. 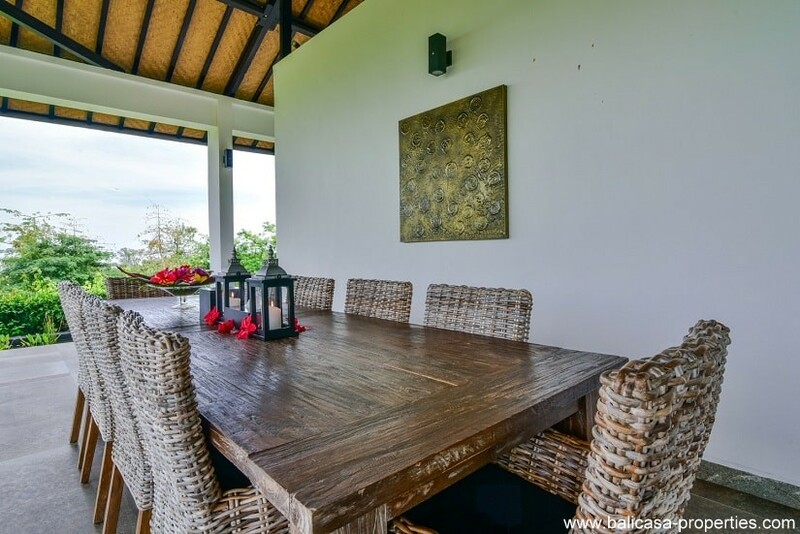 From this dining and living area you can get access to all rooms; the 5 bedrooms with their own en-suite bathrooms, a separate kitchen and an entertainment room. 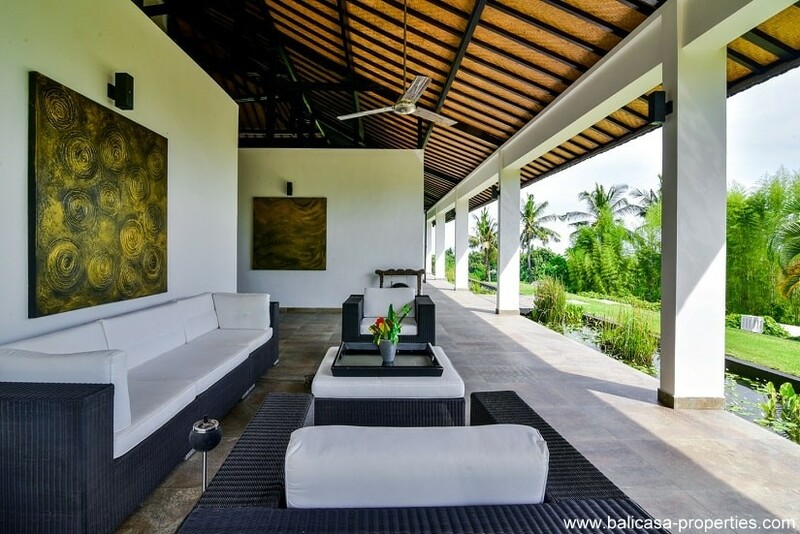 The bedrooms are all having their own access to the covered terrace which is surrounding the villa. 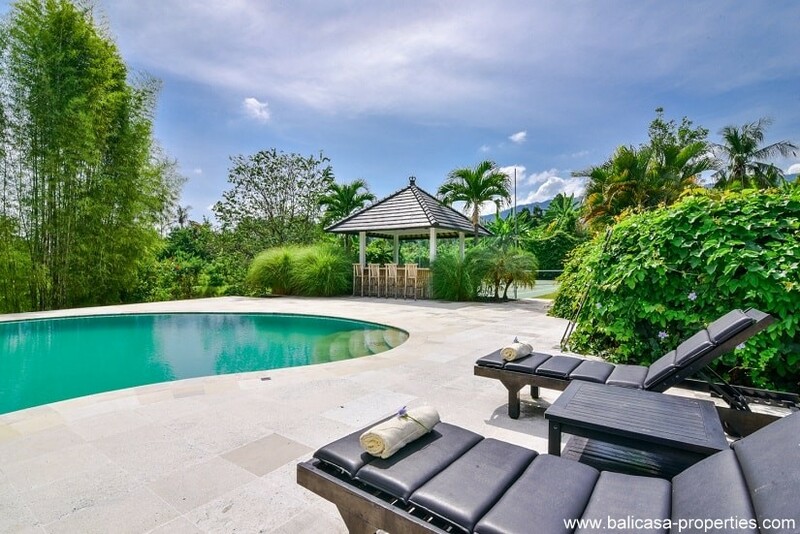 In the very nice landscaped garden you will find the large swimming pool. 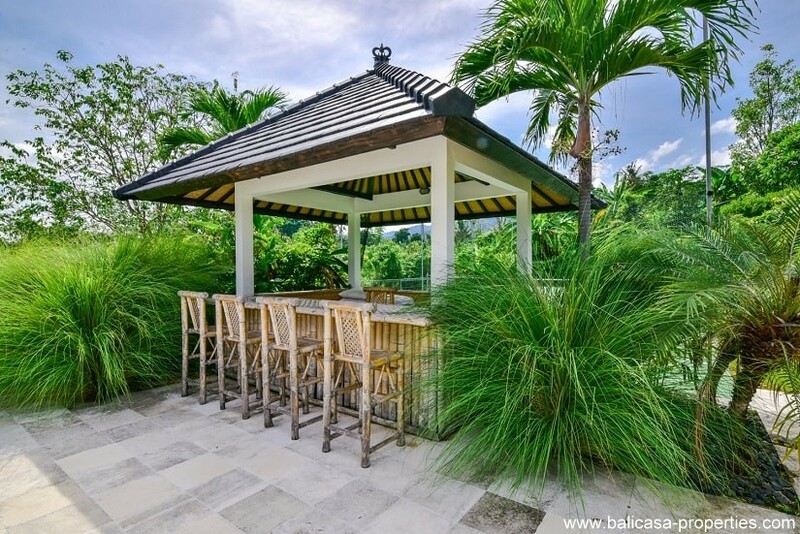 Next to the pool is a gazebo which is in fact in use an outdoor bar. 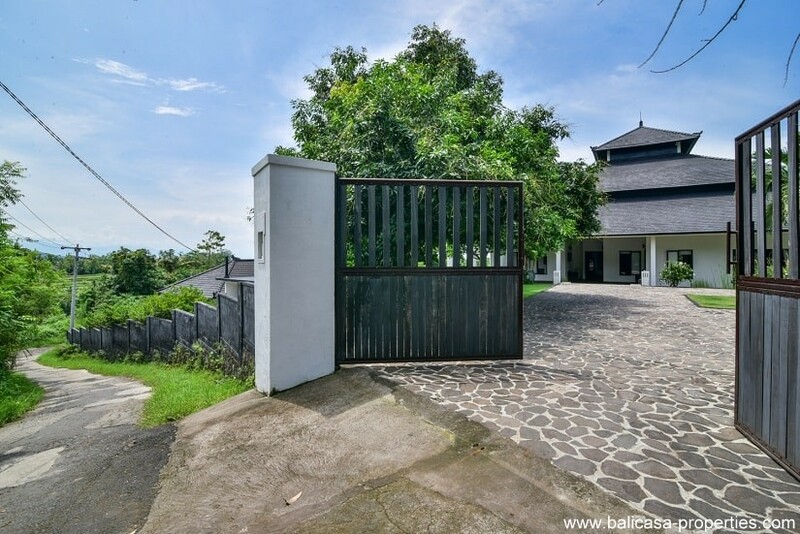 The villa is having its own carport next to the impressive driveway. 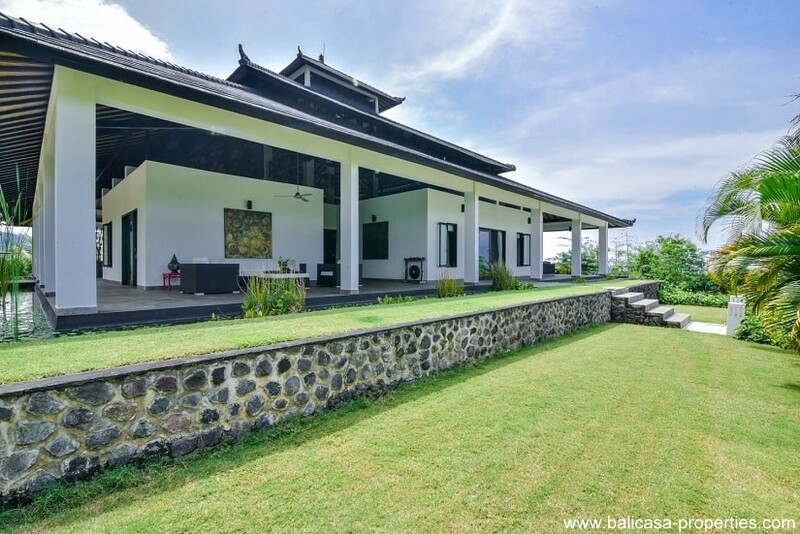 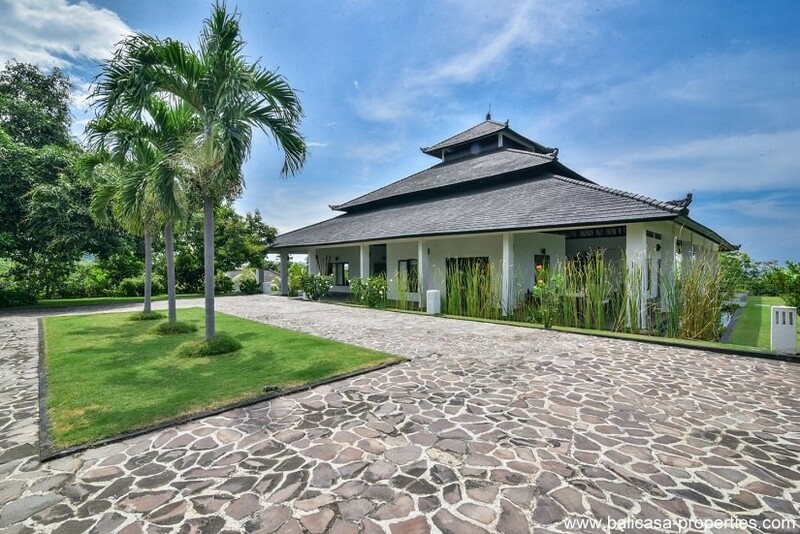 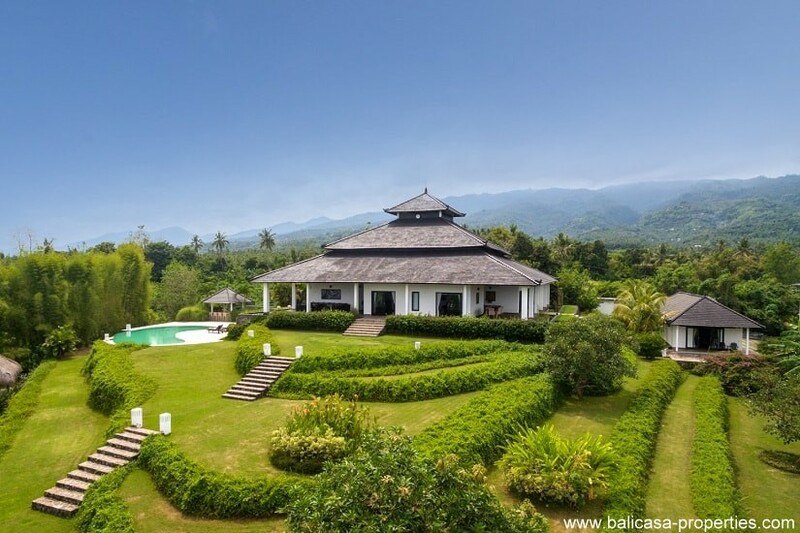 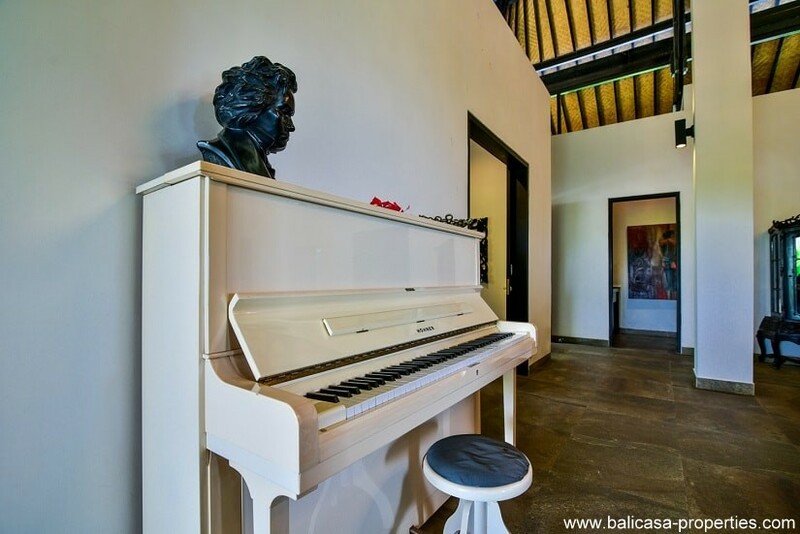 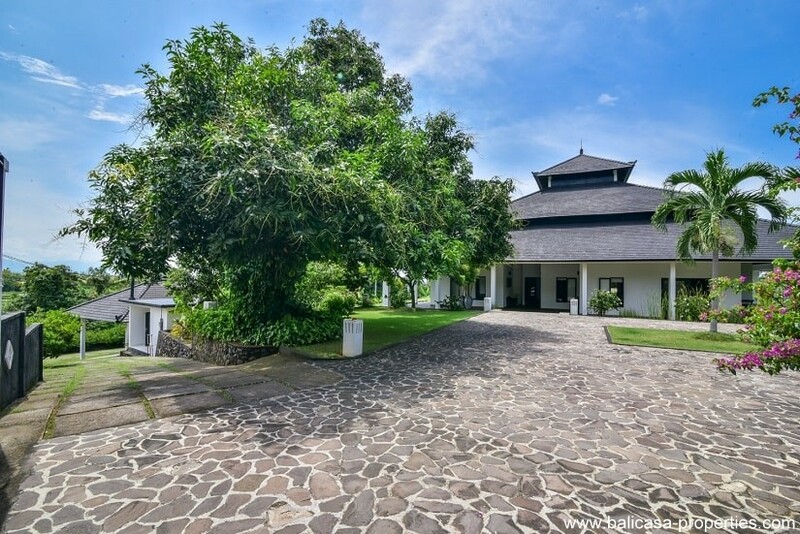 The villa can be found on a short drive North of Lovina. 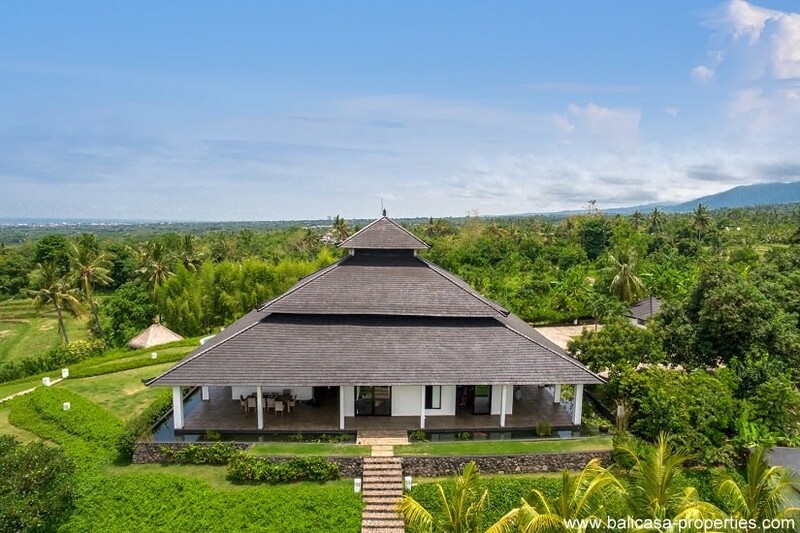 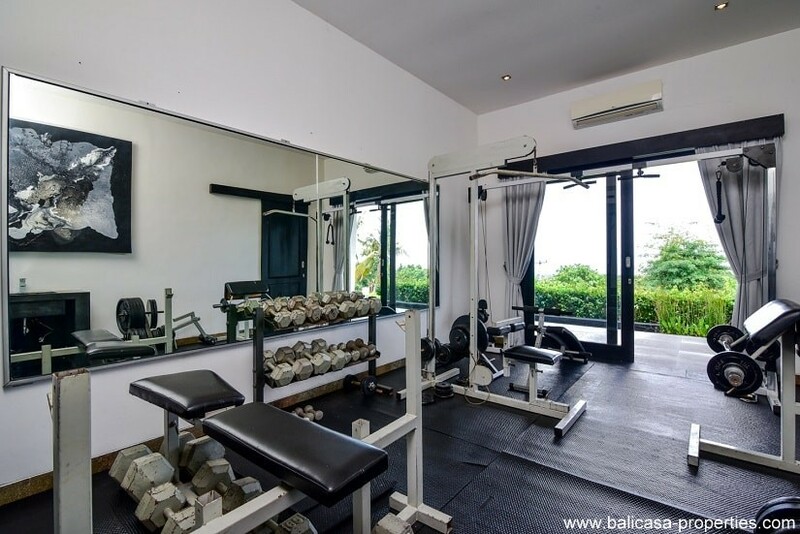 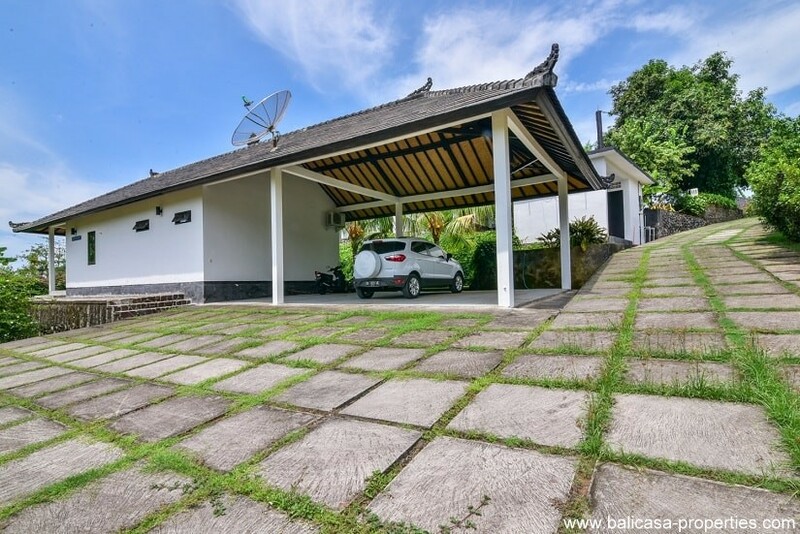 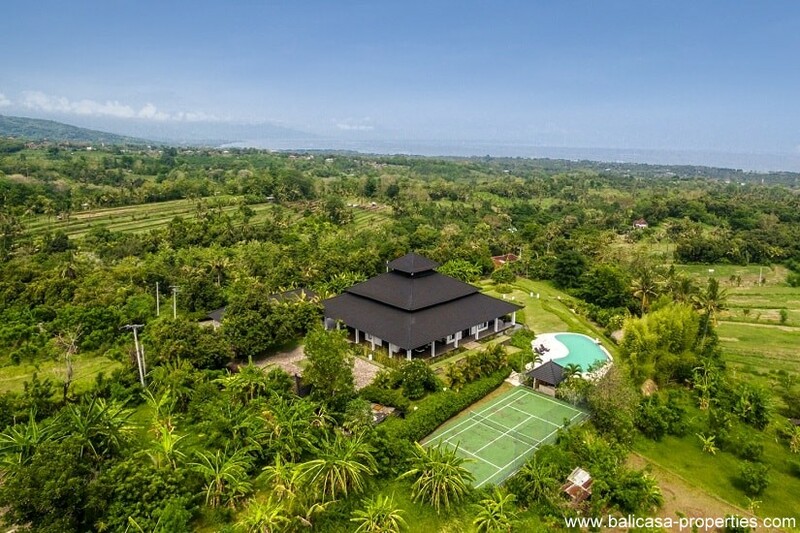 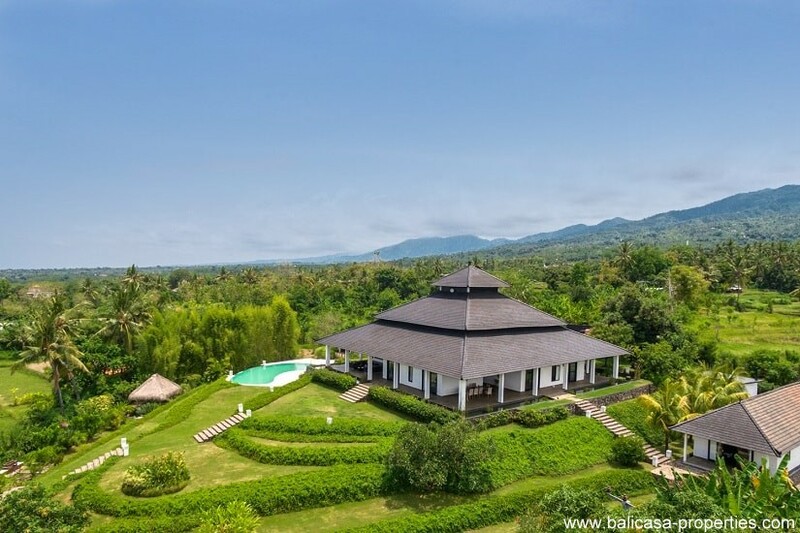 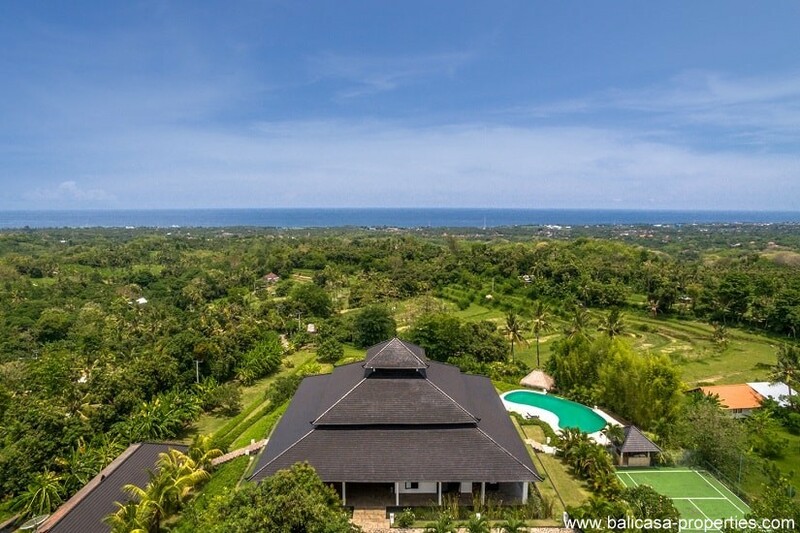 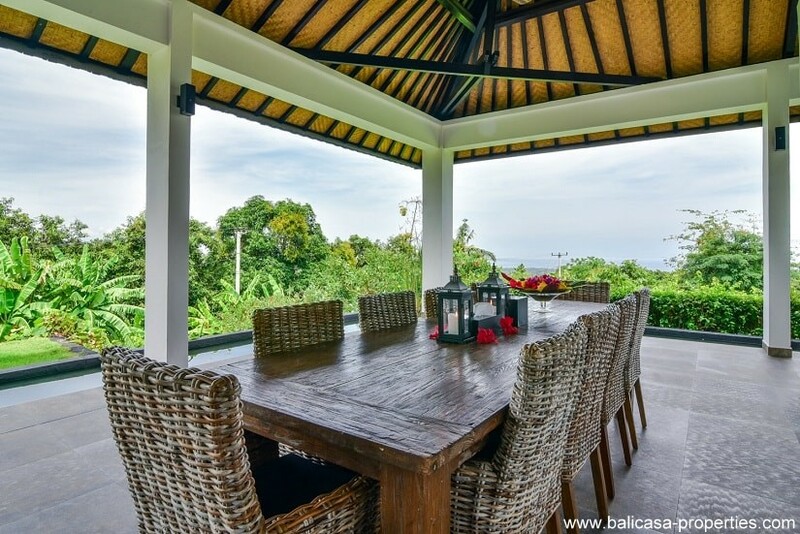 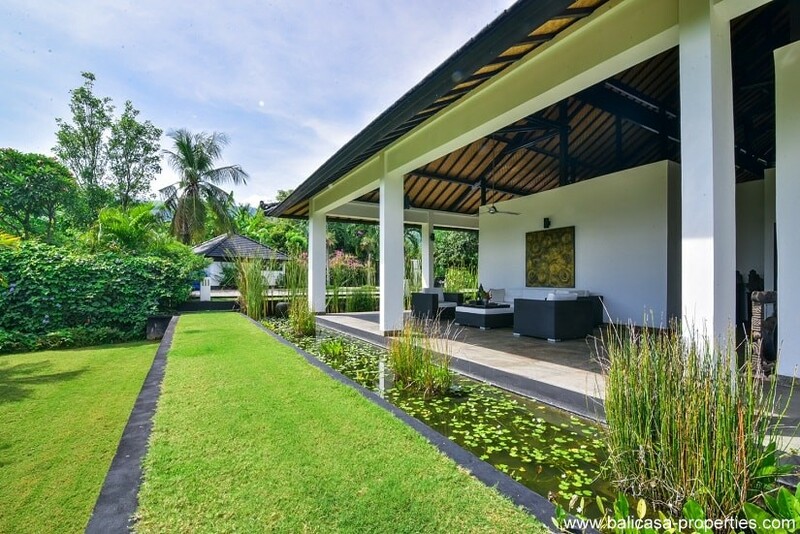 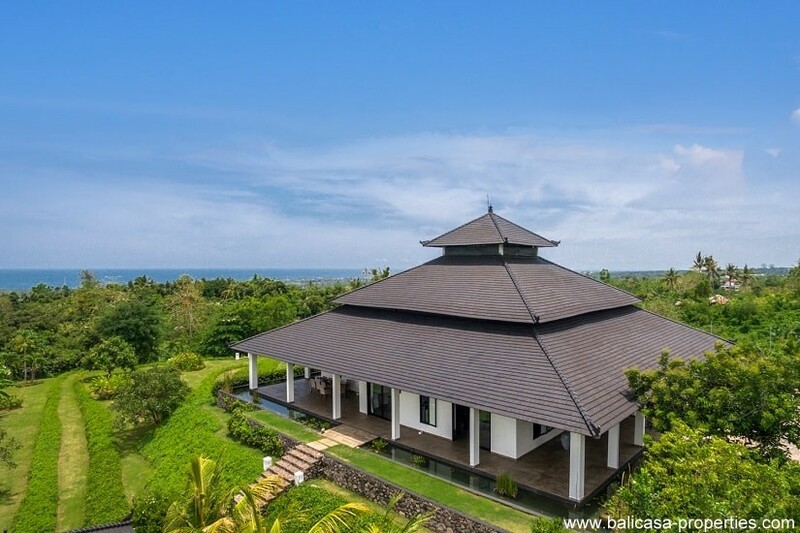 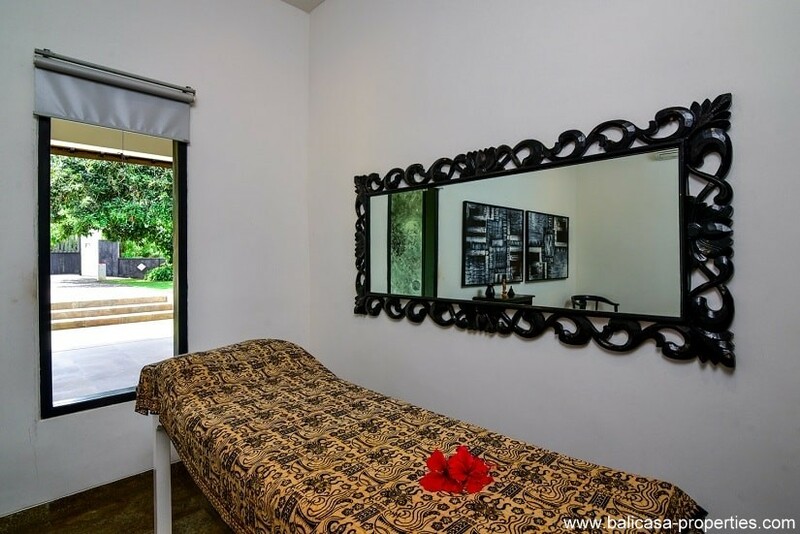 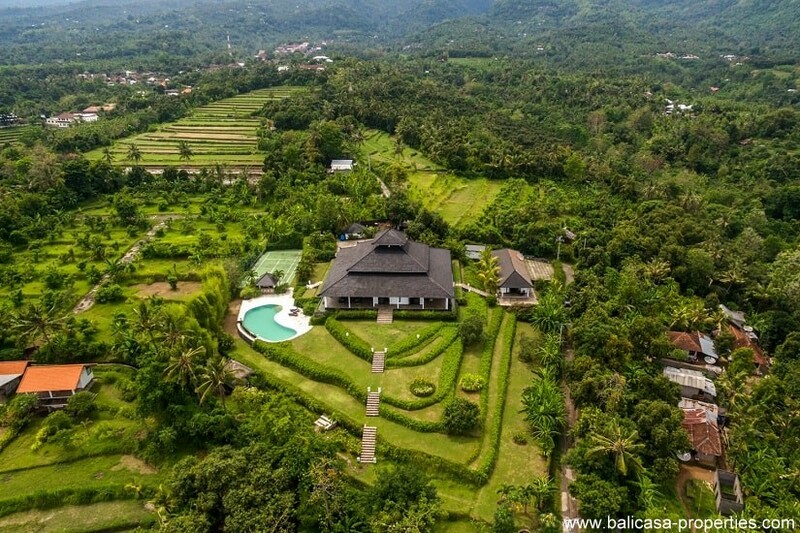 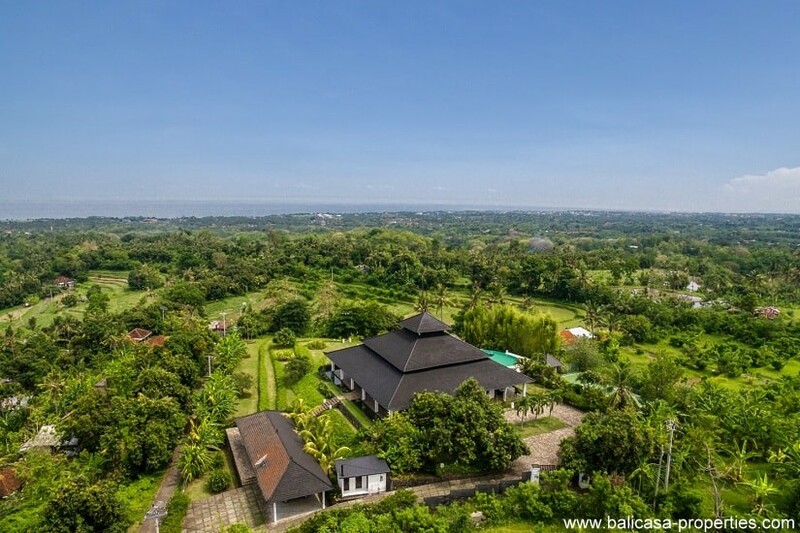 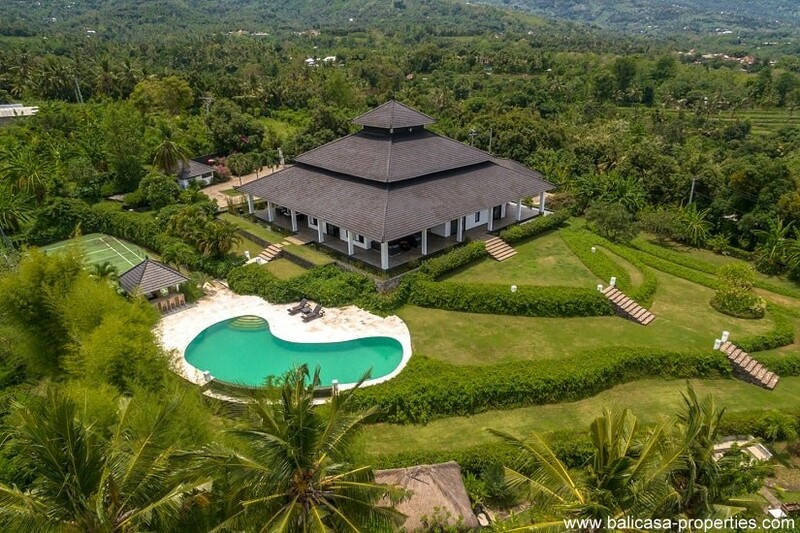 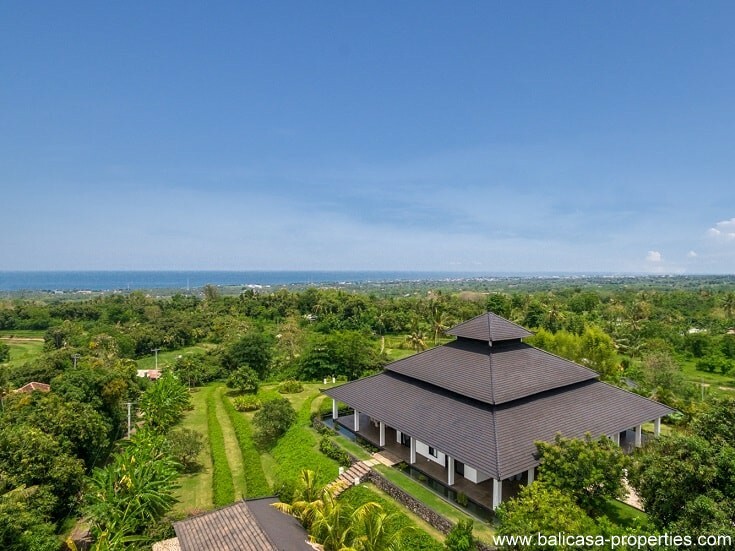 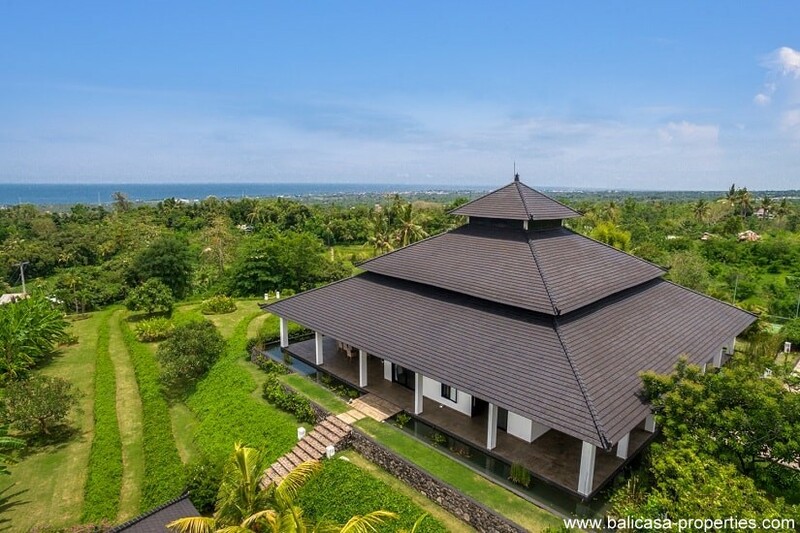 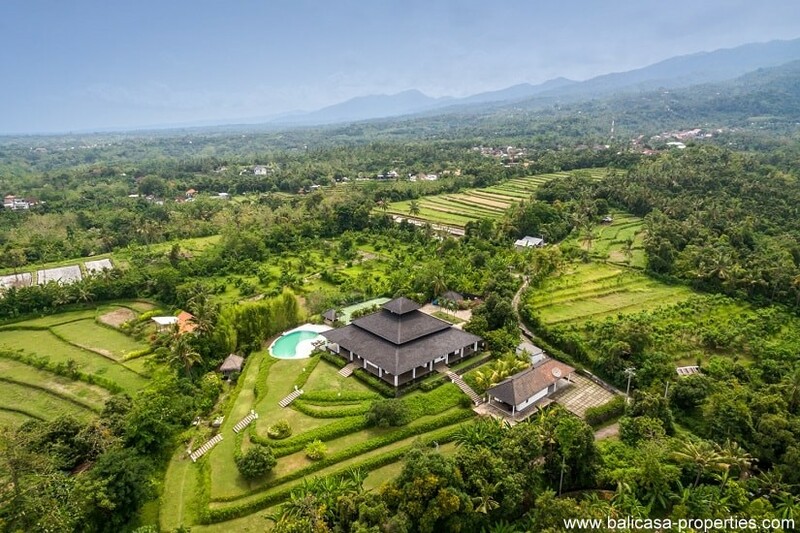 Many villas are located at the beach but many people forgot that it is as beautiful and lovely just behind Lovina at the sloping hills with amazing views over the lush green nature and the ocean. 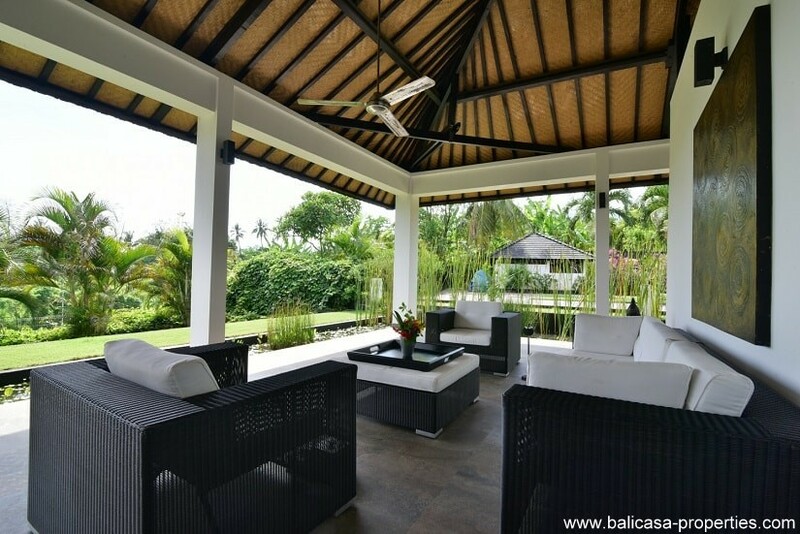 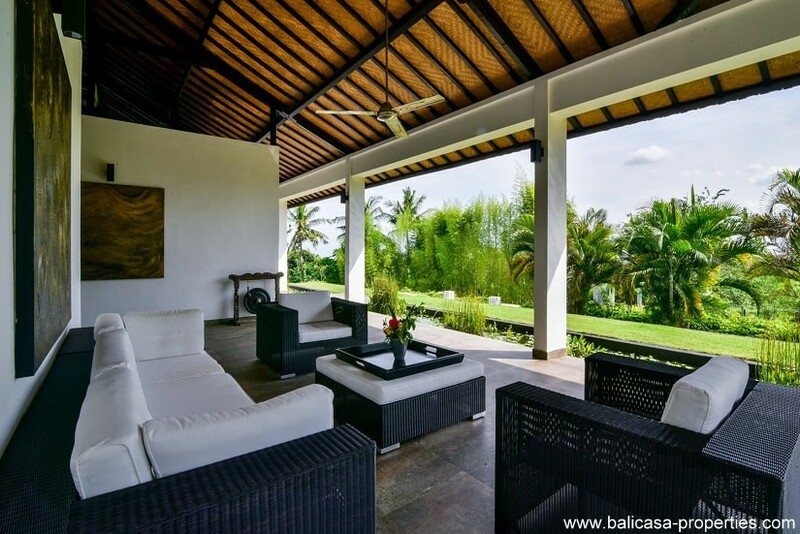 This villa is located in such a nice quiet setting. 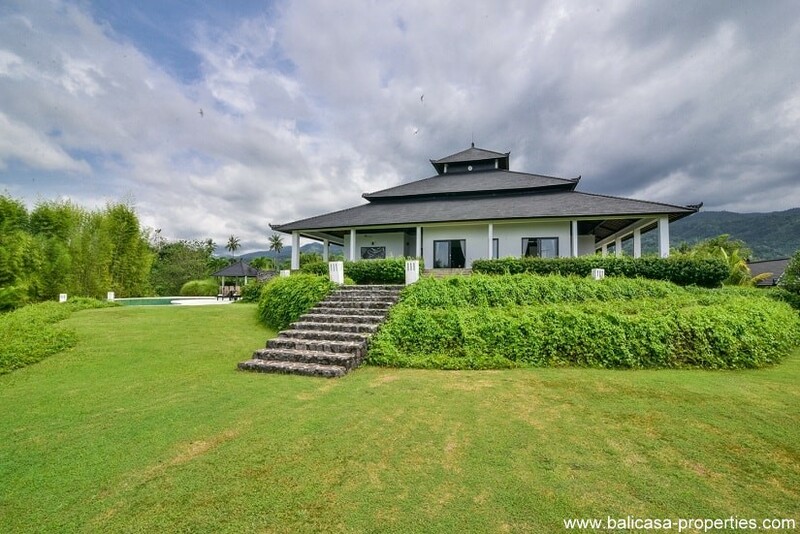 The villa is for sale with a freehold title. 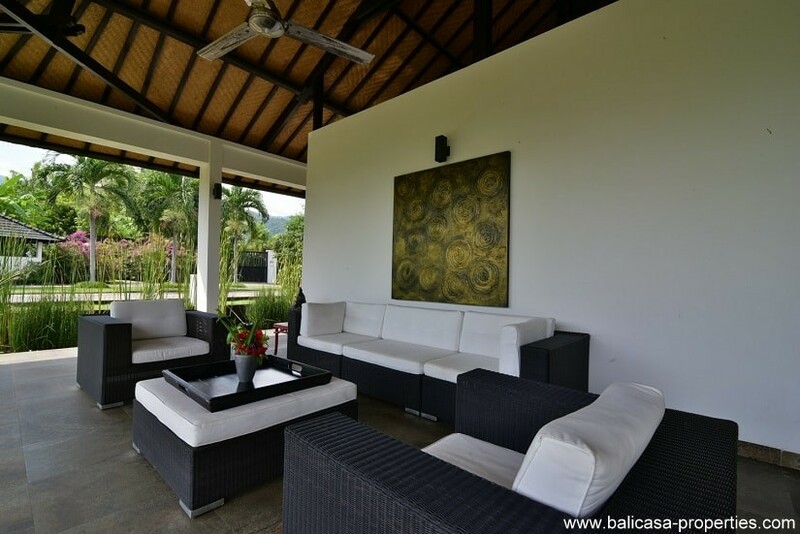 The furniture is included in the selling price. 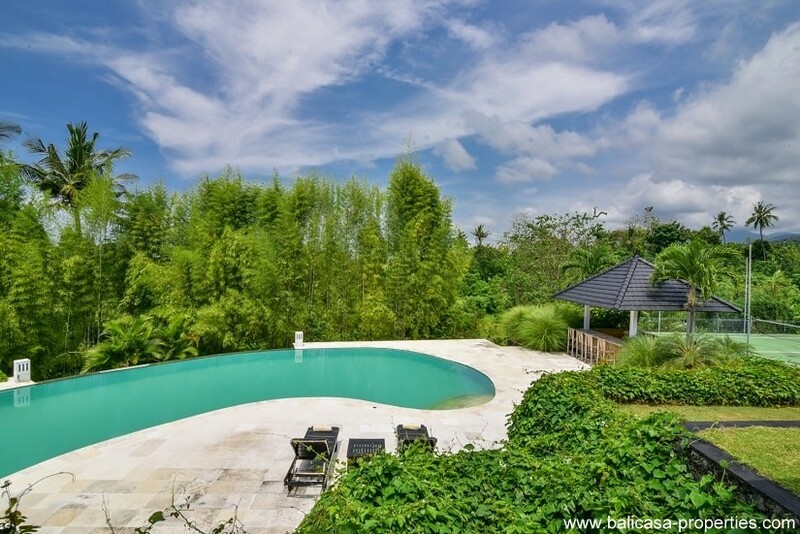 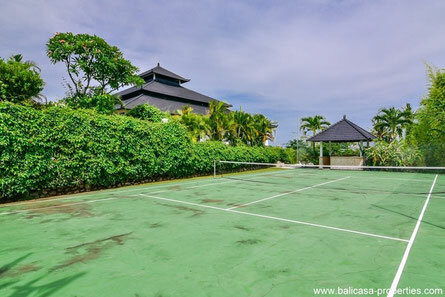 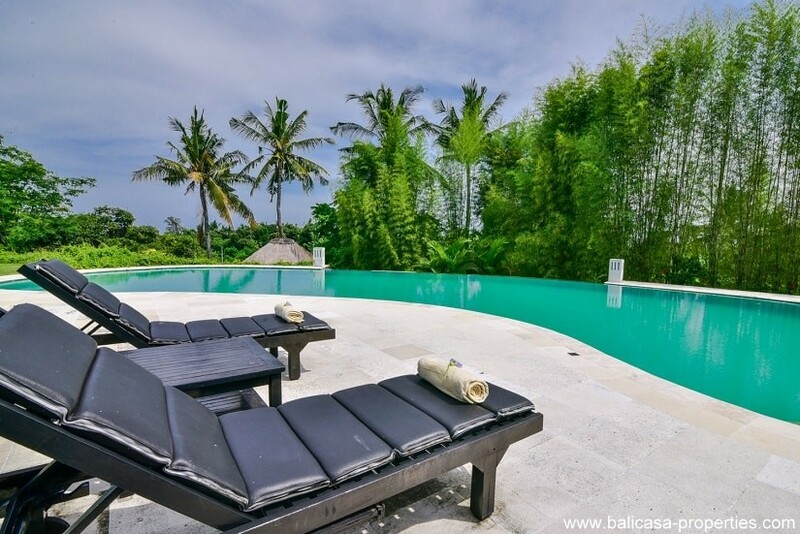 On demand, it is possible to buy some additional land next to this villa. 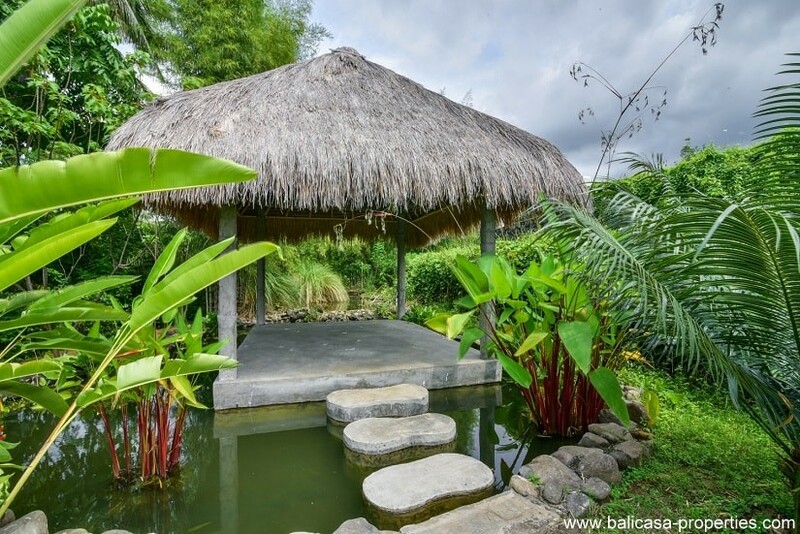 In this way you can extend your garden and/or create some additional accommodation which you can rent out. 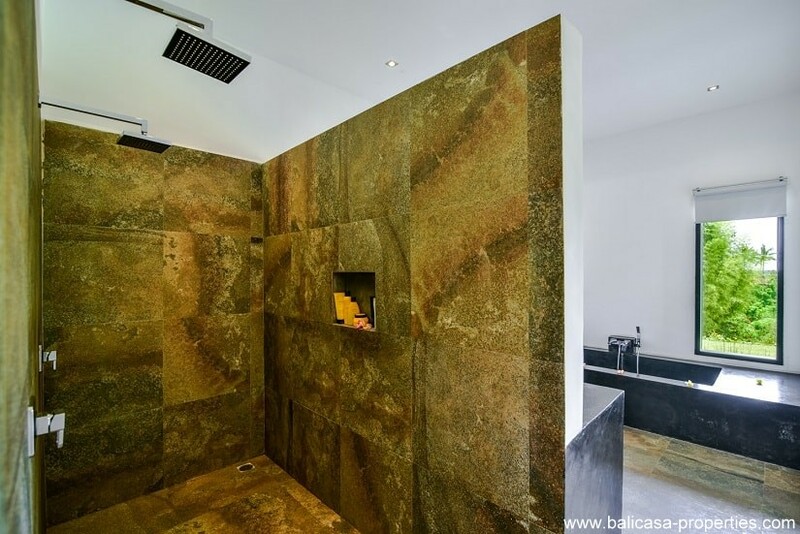 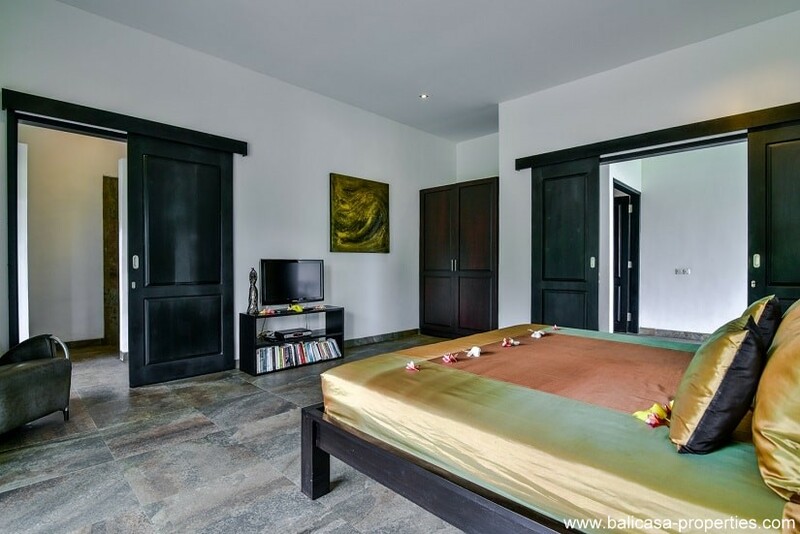 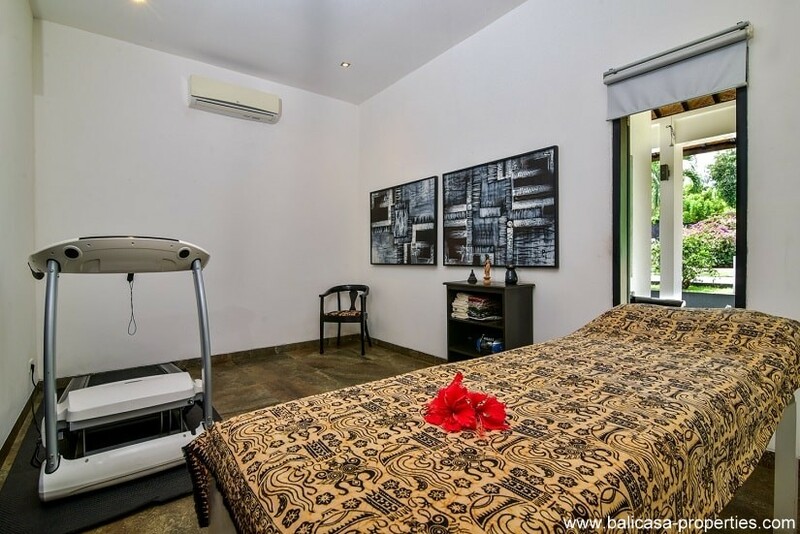 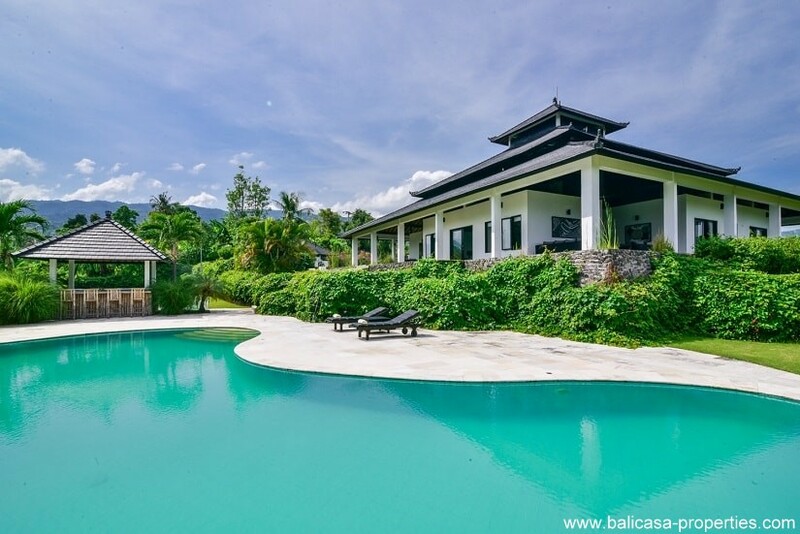 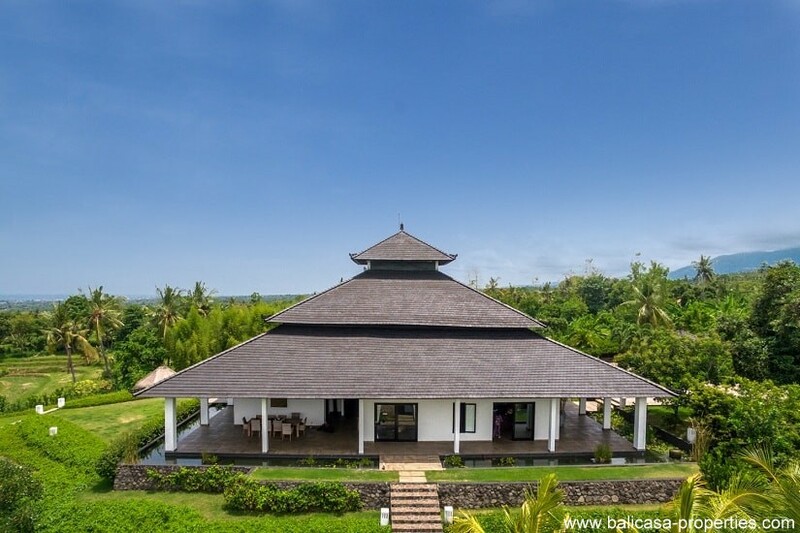 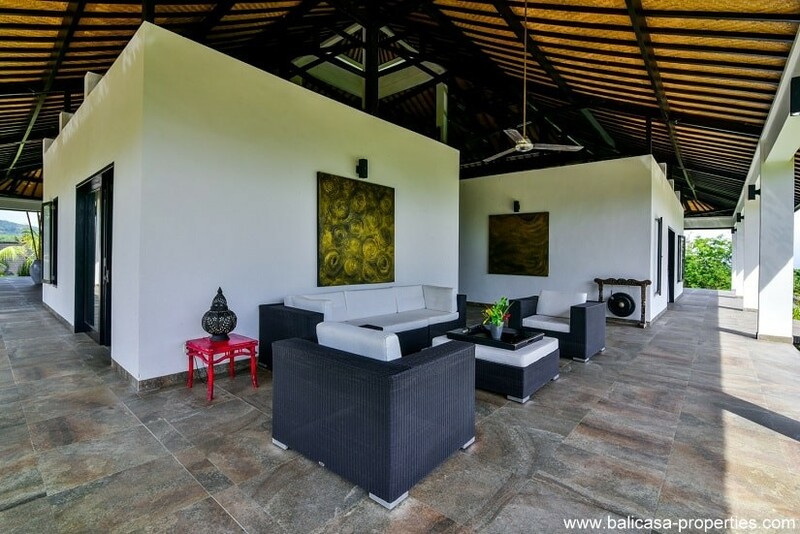 This villa is an unique villa with a different design located in a beautiful setting. 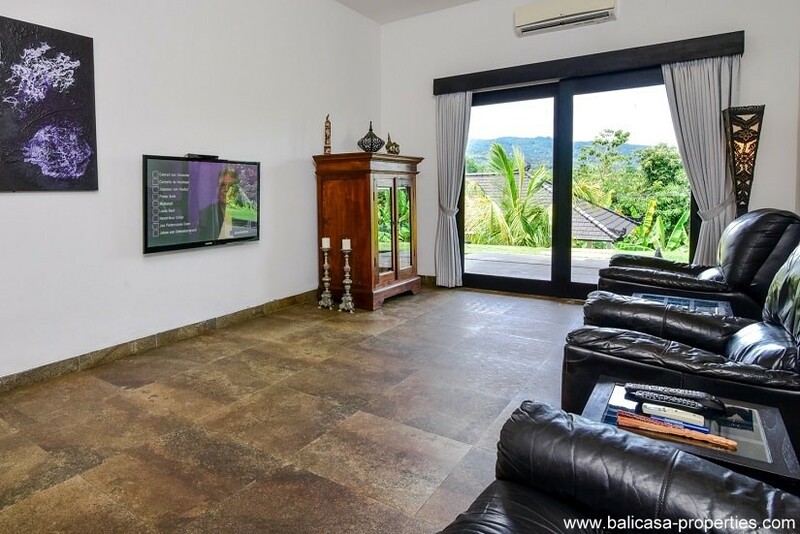 In case you are looking for something special, then make an appointment for a viewing of this villa.